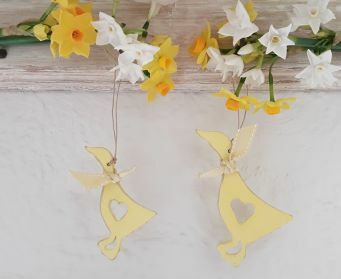 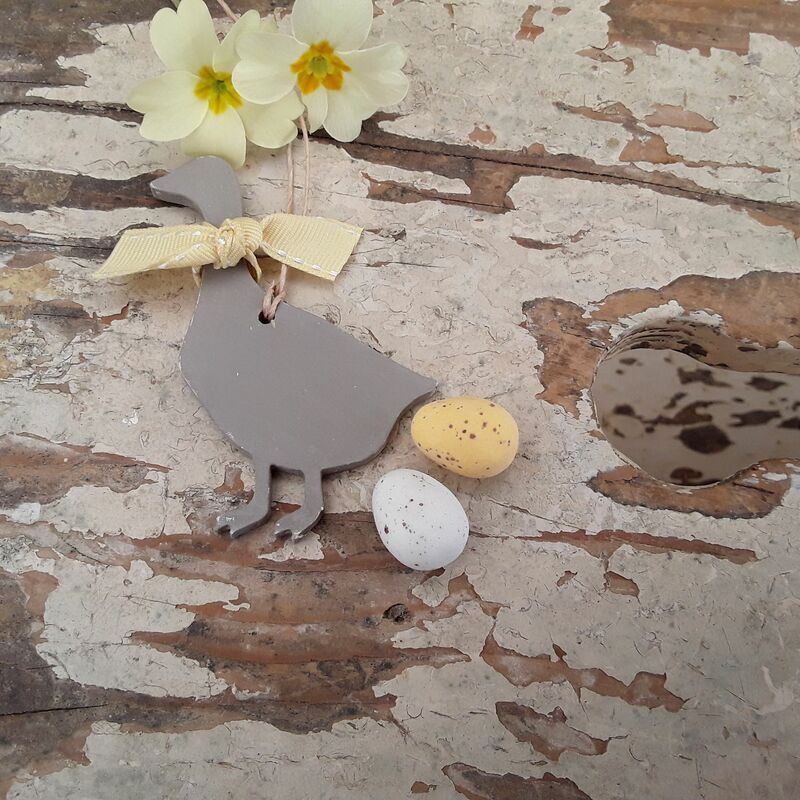 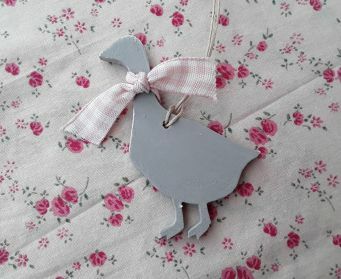 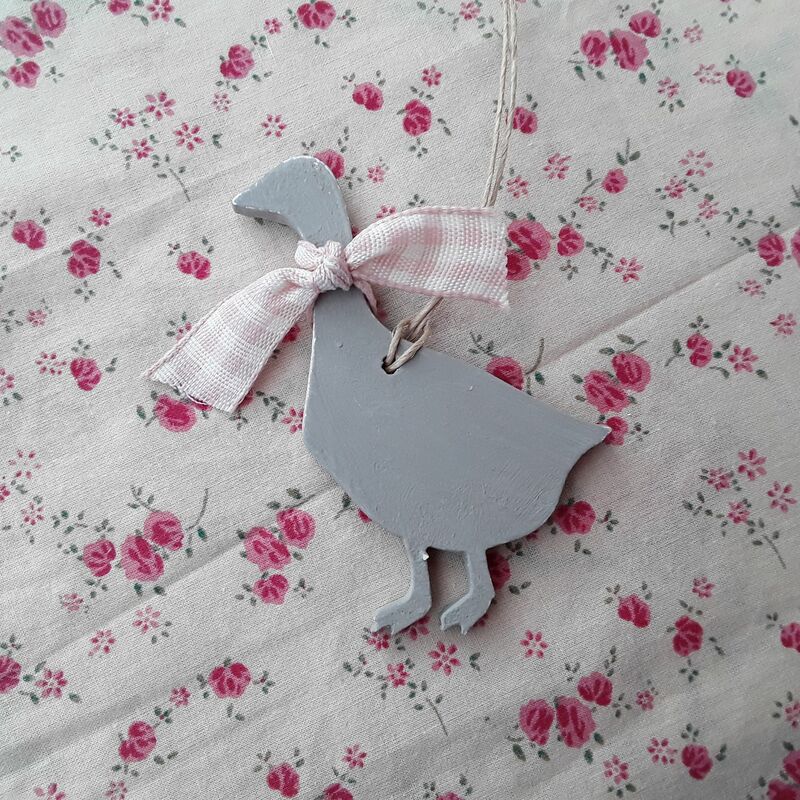 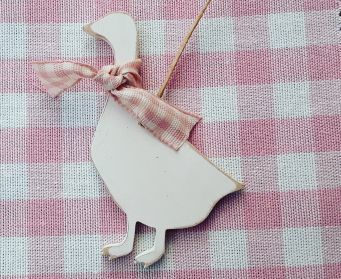 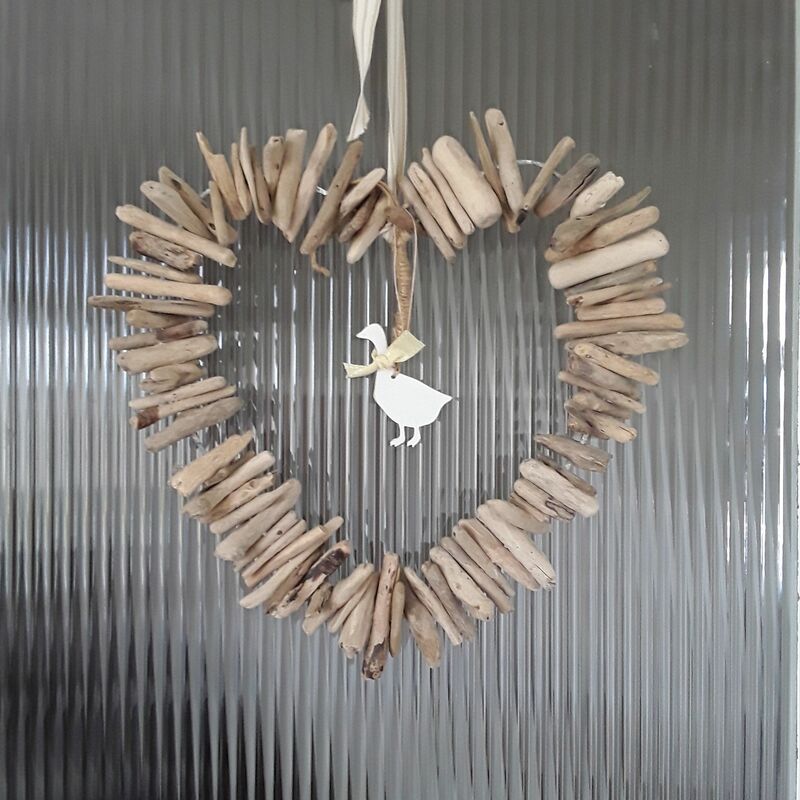 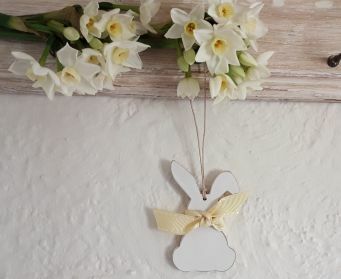 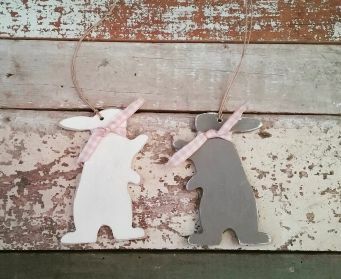 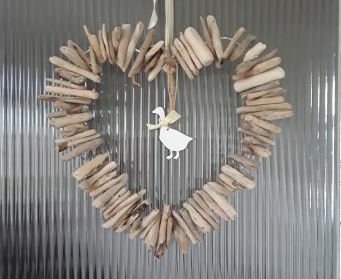 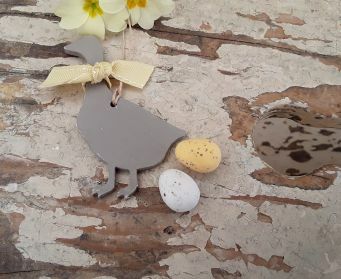 Goosey..goosey gander... introducing our new Trunk Vintage hanging wooden goose decoration... just the thing for Spring. 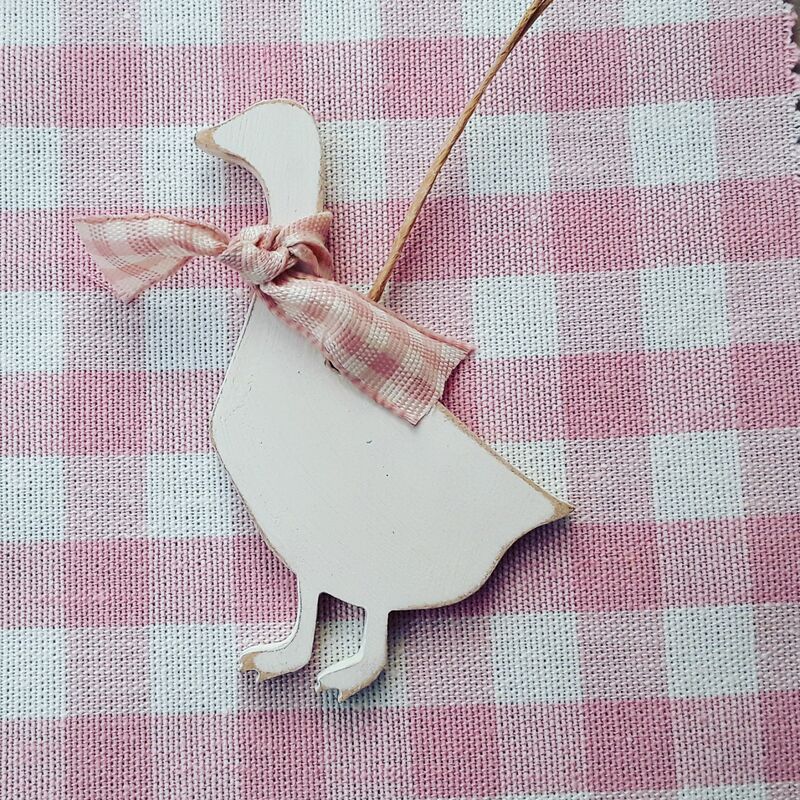 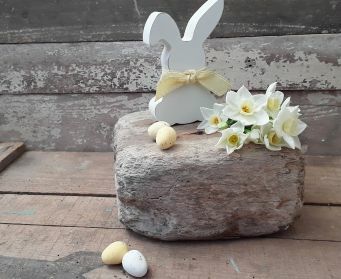 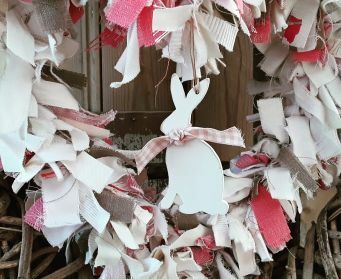 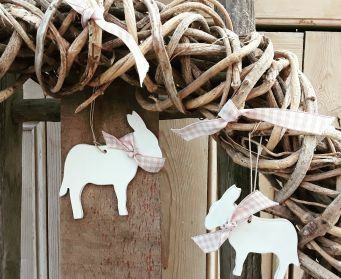 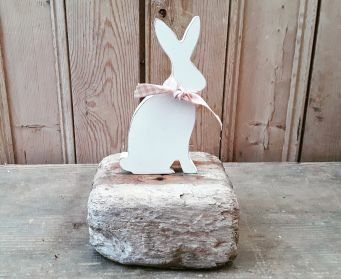 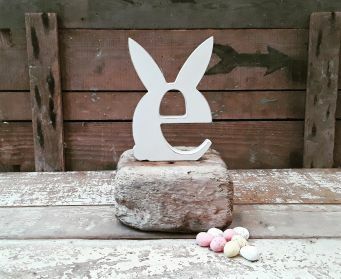 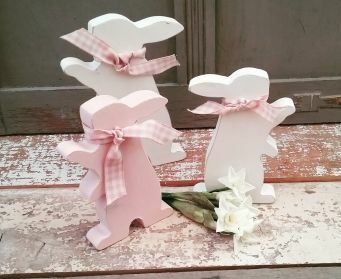 Available in 2 Annie Sloan colours and a choice of pretty ribbons , these little geese will make great additions to your Easter displays. 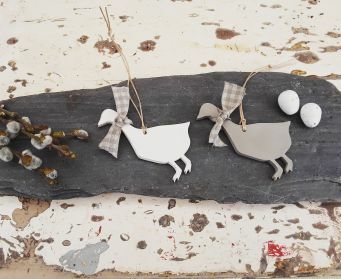 Designs may vary as each one is handpainted by us.